Wanderlust teacher Elizabeth Crisci shares a Past-Present-Future tarot reading to help inspire, inform, and enlighten your practice this month. Weren’t sure how tarot related to practice? In this series, Wanderlust teacher Elizabeth Crisci does a monthly Past-Present-Future reading to explore how seasonal energies may show up on the mat. 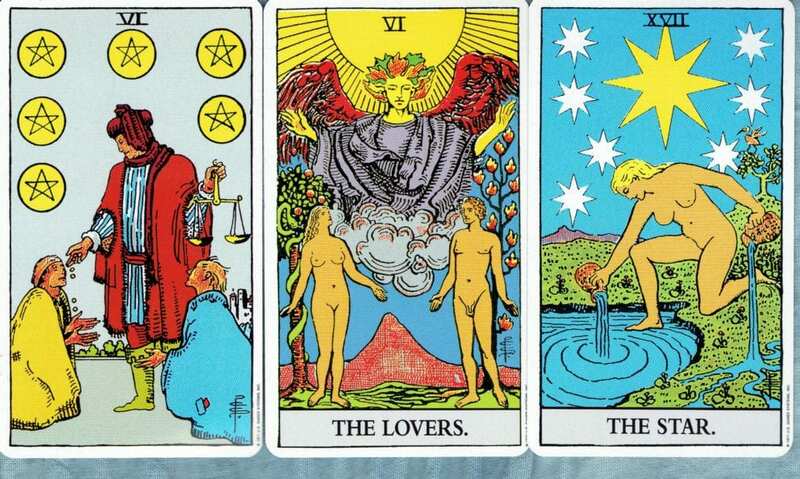 Get your own tarot reading at any Wanderlust 108 OR Wanderlust 2-day city Festival this year. Tickets on-sale now! Or, learn from Elizabeth directly in Wanderlust Stratton this June. There has always been something mystical about the month of February. The only month with 28 days and the one in which we dedicate a holiday to love, it is the last full month of winter here in the Northern Hemisphere. This February, for our monthly Tarot for Yogis forecast, I asked for advice for how to keep going if the winter slog hits during this otherwise magical month. This month’s deck is the traditional Rider-Waite Tarot Deck, also called the Rider deck. Rider is the original publisher of this deck, and esteemed occultist Arthur Edward Waite directed the illustrations. Interesting to note here is the backstory of unsung illustrator Pamela Colman Smith, a woman of color with Jamaican ancestry who was born into an aristocratic New York family. The deck originally appeared in 1910. Today it is the ubiquitous Tarot familiar to people with even only a burgeoning interest in the subject. You will find it called many combinations of Rider-Waite-Smith, and you can also find many more modern artistic decks inspired by this old faithful. (Like the Fenestra Tarot I used last month). To me, this is actually a newer deck. While I was thrilled to learn Tarot from my Grammy, Aunties, and Mother over the years, my secret rebellion was to choose my own deck that none of them used. (Though I wanted nothing to do with the ever popular Rider-Waite deck until after adolescence, I now hold a great appreciation for the rich symbolism of this deck and the ones it has inspired. The Six of Pentacles is in the past position and I’m not surprised the Tarot is being playful. This card was in the future position of our January reading—there’s obvious symbolism here beyond the meaning of the card. What once was the future is now the past, the Wheel of Life is always turning and taking action is important because today’s future is tomorrow’s past. Learn your lessons and move on, yogis! If you remember, the Six of Pentacles is a complex card which represents generosity and charity (service, seva), and also the relationship between those who have and those who have not. The classical depiction of this card seen here makes it clear that there is a great difference between the man giving out the coins and the ones who ask for it. It’s hard not to see political and economic implications in this card. In this reading, however, the card seems to take on additional significance. Looking at the card from a spiritual sense and referencing our January reading, the man holding the coins is a judge. His scale represents discernment and balance itself. He can also represent Abundance personified, and sharing with the one who knows how to ask and receive. What is your relationship with abundance? Do you pursue opportunities that will help you achieve your goals? What I see in this reading is a backbone, a past supporting you with a foundation of receptivity. Ask for what you need and what you want, bring your intentions to the mat. Find discipline, devote yourself to rituals that serve your greater purpose, and increase your receptivity like yoga, herbal tea, bubble baths, and meditation. This could be a good time to meditate with mantra that represents your desire or intention. These practices support you on your way forward. The Lovers take center stage this month (an appropriate nod to Valentine’s Day). Yet this card is not only about love and romance. The Lovers represent balance of opposites, commitment, relationships of all natures, co-operation and growing together. In today’s world the Lovers might well represent the partner your launching a start-up with as much as your romantic interest. Where are you committed right now? What are you building in your life, and with whom? These questions are important as we begin the month to let you know where your work needs to be done. Balance means that you’re not only focused on what you want and need out of these partnerships. Are your partner’s needs met? Do they feel heard? Being receptive is a real theme right now. Important to consider, given the rich symbolism of this card: While both members of this couple are standing in front of a tree, the one behind the man is burning and barren while the one behind the woman bears fruit (and a serpent, another rich symbol which can point to abundance and transformation). Just as in yoga, masculine energy is associated with the sun, with rational over emotion, and the element of fire. This card represents a time when being passive and, yes, receptive, is the more abundant path. Focus on how you practice Savasana, practice soaking in the experience. It’s not about fixing the pose and making it perfect, just absorbing the place and time you’re in. This could be a great month to take some Restorative yoga classes. Finally, a wonderful future outlook. The Star depicts a peaceful scene, an unencumbered figure who is not collecting water to conserve, but is actually playing in the water. There is no need to conserve, there’s trust in abundance. You’ll notice that both of the figures in the foreground of the Lovers as well as the figure in the Star are all naked. This represents innocence and also a freedom. The Star is someone who has been through difficulty, felt loss and struggle, and has found their peace. This month, the path to this freedom and inner peace is truly through listening before acting. Practice Ujjayi breathing to balance your throat chakra and cultivate ease in communication. Be reflective in your practice, be in partnership with yourself as well as others and be less forceful with your own will this month. Your best opportunities may arise through others. This is the month to enjoy your community, your kula, your tribe. Receive the gifts they have to offer, and celebrate the cultivation of your own abundance. Elizabeth is a yoga teacher, mala maker, and ritual practitioner living in Bushwick, Brooklyn. Her art and practice are inspired by her grandmothers who taught her craft and divination respectively at a young age. She grew up in a matriarichal family, a descendent of two yoga teachers (her maternal grandmother and great grandmother)— this life has been in her blood. Elizabeth has studied with many brilliant teachers and she’s so grateful to Alan Finger, Elena Brower, Jillian Pransky and the Katonah Yoga lineage for their influence and wisdom. 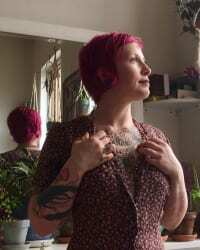 Elizabeth teaches public classes in Manhattan and Brooklyn and offers private yoga as well as Tarot readings in person and online. Find out more about her and her work at love-by-e.com.